My Idea File: Where has the summer gone? and a back to school sale! Where has the summer gone? and a back to school sale! I love summer! But I will admit I also love getting ready for a new school year! This year I have another move (10th school in 12 years). Yikes! But I am teaching grade 2 again so that is a bonus. 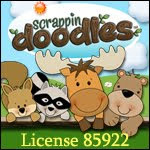 Back to full time, so I look forward to adding math resources to my TpT store! Check out Krista Wallden for great graphics! I have a few new resources I've worked on this summer to share. 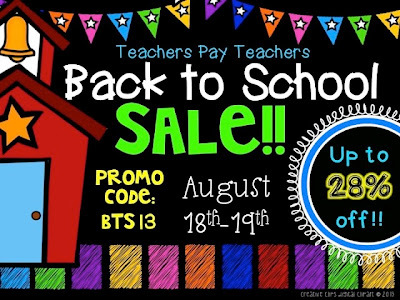 Just in time for the big (28% off) sale at Teachers Pay Teachers! Here are the descriptions. Click on the pictures to take you to the products. All resources included curriculum connections. I Can statements connect to the Ontario Curriculum + Common Core! Words Rule! 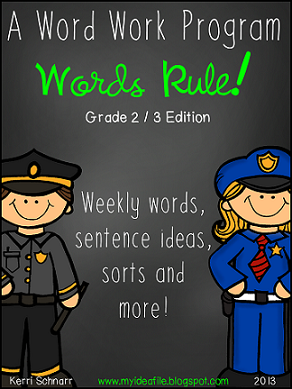 This is my 2nd + 3rd grade spelling program I created and used in my classroom for the last 2 years. I have posted a Words Rule! Bundle which includes the program, posters and dictionary. 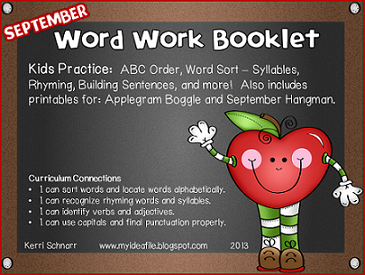 I have also posted the posters and dictionary separately to supplement your word work program. 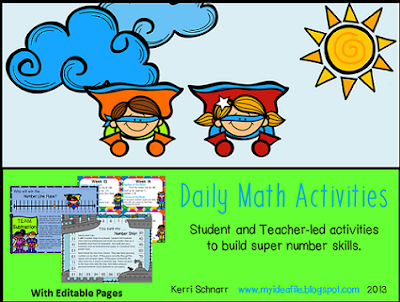 Daily Math Activities I can't wait to use this resource! I love my word work program and I wanted to create a 15 minute program for transition time after recess. 40 weeks of number of the week and survey of the week are provided. I intend to copy the page back-to-back to keep it simple. The best news is that it is editable! Some activities are intended for independent work or pairs. I have also included some small group or teacher-led activities. Letters in the Classroom Set 2 I created this set using Melonheadz Kids. Again I can't wait to use these letters this year for pen pals. 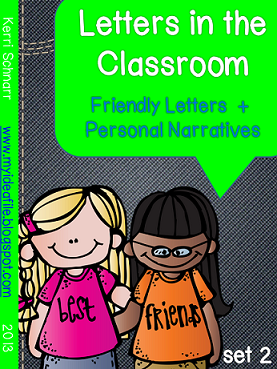 Perfect for teaching asking and answering questions as well as writing personal narratives. A variety of page options are included so that you can differentiate for your students. I Think I'm Ready + A Labour Day Sale!